Our lives are a gift to enjoy. In today’s society, our lives cannot run without the daily use of money. Money is not about dollars and cents. Money is about our behavior in spending and saving those dollars and cents. At Money Bliss, we focus on Where Cents Parallel Vision. Money coaching combines the emotional and psychological side of money with the practical. Many of these professionals are unable to provide the resources needed to change how you relate and spend your money. With money coaching, you become financially organized and in control of your money situation. Money coaching changes how you view money and thus changes your life forever. By utilizing a money coach, we will develop an action plan with your specific desires in order to reach Money Bliss. When working with a client, the focus is on you. A journey specific to you. A plan customized for you. Then, you can finally start seeing the results you want. This is my focus when coaching clients. Without a money coach, more than likely would just continue on the path you are currently on. If you want a change, I have the tools to provide you accountability and actionable results. With a financial coach, you receive the one-on-one attention that provides the time and personalization needed to reach your personal money goals. Just like with a personal trainer, career coach, or life coach – you want to see results. Over a year ago, I started working with Kristy after my husband lost his job due to his store closing and I was a stay-at-home mom with three children under the age 6 years old. Times were scary and I was vulnerable. Yet I was able to manage with Kristy's help. My goal was simple: to get started with a new vision and stay on track. Kristy has helped us think outside the box, be creative, challenge ourselves and be motivated to at least try. Times are still challenging, yet we have made more progress this year than any other year of our marriage. We have paid $10,000 off on one vehicle, afforded $40,000 in dental work and paid off $2,000 in personal loans. We have used techniques and solutions Kristy has shared through her research. Her tips and suggestions are practical. They can be applied if you are willing to make the changes towards a better way of life. I trust Kristy's opinion and she is able to personalize what works for you in the season of life you are in. I highly recommend listening to what Kristy has to offer with her one-on-one coaching. My husband and I still have a lot of work to do, but I can sleep well because I am moving toward a goal and I have a coach to keep me on track. ~T.S. As a money coach, my goal is to help everyone achieve their visions and reach Money Bliss – Where Cents Parallel Vision. Ready to take control of your money situation? Looking to refine your budget to save money or pay off debt? Now, is the time. Don't delay any longer. Have an expert reviewing your budget and offer personalized insights to your money situation. 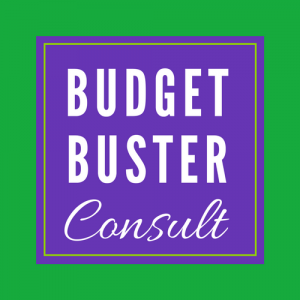 The Budget Buster Consult is for someone who has never budgeted before or haven't succeeded in the past. Also, this is for someone who still can't get ends to meet. After our Budget Buster Consult, you can expect to create a Cents Plan (budget) that will work for you. Guidance on how to eliminate unnecessary expenses. How to get your budget to work for you each and every month. Enough spending time letting your money control you. Now, it is time for you to control your money. Are you serious about eliminating debt in your life? Debt payments weighing you down? 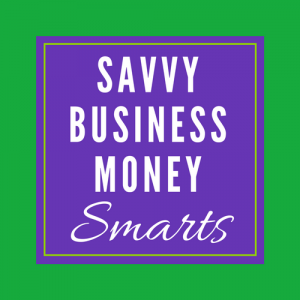 Simply put…are you ready to do something else with your money? 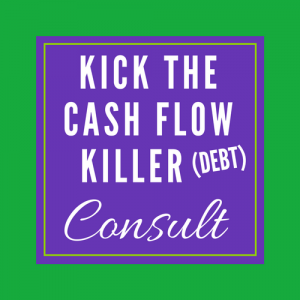 If you answered yes to any of these questions, then you are ready to Kick the Cash Flow Killer from your life. I remember the day we decided to pay off our debt. One year later, we paid off $53,000 in debt. It is the hardest initial step to towards financial freedom. However, it is the BEST decision we ever made. If that is you ready to pay off debt, I am here to help you succeed. After our consult, you can expect a debt payoff plan along with any recommendations for consolidation on your debts. Managing my finances has always been a priority. After speaking with Kristy, it became clear through her coaching that I was tackling my finances in the reverse order. I needed to prioritize creating a medical and emergency savings first before paying down student loans and saving for vacation. This was confirmed a few weeks after our session, when I had unexpected medical expenses and had not set aside funds to cover them. Although they have since been paid off, Kristy's wisdom guides my financial moves as I go forward and I wish I had followed them sooner. Take care of your finances and start by following Kristy's steps toward financial freedom. -K.L. Need an outside, unbiased opinion to get you on the right track? Looking for a solution, but unsure where to start? Overwhelmed on how to start the Money Bliss Steps to Financial Freedom? 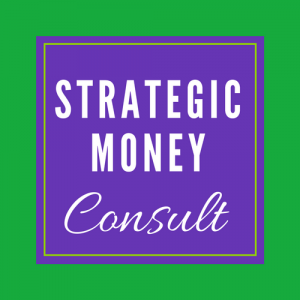 With a strategic money consult, we will look at the whole picture – not just the budget or paying off debt. During this two sessions, we will uncover your money questions and concerns. We will outline a basic plan for you to succeed with your money visions. Coaching topics are dictated by you. What you need to succeed with money. Tired of searching online for answers. Get real answers now. Ready to take a customized journey into your personal finance situation? Do you need accountability to stick to your money visions? This is where one-on-one personal finance coaching is perfect. We will discuss your money visions. Understand the life you want to live. Figure out how you are currently spending your money. Determine what underlying issues are holding you back from financial success. Set short term and long term goals. We will set up a plan to accomplish your money visions. This is your customized money journey. I am here to help guide and provide accountability. After our coaching journey together, you will be on your path to Money Bliss | Where Cents Parallel Vision. Looking to pay yourself a regular salary? Stop the up & down cycle of living the entrepreneur life with money. Unsure how much to pay yourself or invest into your business? Looking for help setting up your business accounting? Thus, making tax time a breeze? Money and reaching your business desires are integral pieces that must work together. Aiming in the dark and hoping the best, just doesn't cut it. We will uncover all of your business-related money questions and concerns. Start making savvy decisions with how to spend your money, understand what is the best ROI for your business, and begin getting a “normal” paycheck. We will outline an action plan for you and your business to succeed with your money visions. 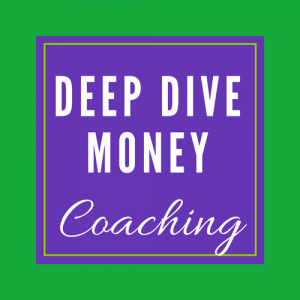 Unsure about working with a money coach? Want to make sure money coaching is for you? What to make sure working together is a fit? During our time together, we will discuss your current financial situation and how Money Bliss one-on-one coaching services can alter your view of money and your life. Change Your Financial Future Today!